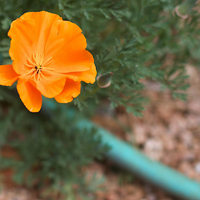 I was just out in the garden, connecting various hosepipes together so my wife could do her long-distance watering and it occurred to me that life is a little like those numerous connectors. We all want to get somewhere but sometimes we need those connectors to expend our reach. I recently connected my chiropractor to a homeopath. She had recently moved here and I knew he was looking for someone to expand his practice. There is something wonderfully satisfying about ‘connecting the dots’ for people and I guess you could say I’ve made that my career. 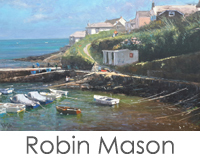 As a gallerists we connect artists and artworks with collectors and, as founder editor of my not-for-profit website, Roseland Online, we connect the community and local businesses with news and information they might otherwise miss out on whilst helping fund local project from the profits. What I’ve discovered, though, is that the more one becomes a connector, the more you become connected yourself. I never do things for the outcome – purely because they’re there to be done – but in helping others, I have a stream of people I know who are more than happy to help connect me when I need it. Before I kick off with this month’s delights, I want to apologise to a lovely couple who came in last month looking to see some Amanda Hoskin’s work that we had on our sister gallery’s site, BritishContemporary.art. Just to clarify, BCA is an online only gallery but if needs be, we can get works in to THG for viewing if we’ve had some notice. 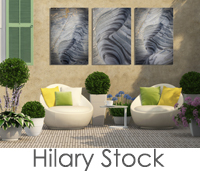 Alternatively send us images of your home and we’ll put them on the wall for you and send back! That said, I am delighted to say that Amanda Hoskin has decided to join THG’s physical gallery too, so as well has having amazing works on BCA, she’s painted some local scenes especially for THG fans, so enjoy! 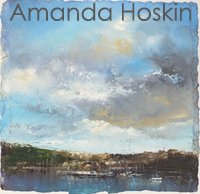 Almost needing no introduction at all, Amanda is one of Cornwall’s most experienced and exciting painters and I was super chuffed she agreed to fit in painting into her schedule for this year… so revel in what we have and more are on the easel as I write. Photographer, Hilary Stock will be doing the first of the year’s Fisherman’s Shelter exhibitions over the Easter weekend. She has been working on THG’s first artwork suitable for outside as well as inside the house and office. These fabulous works can be printed into aluminium sheets of pretty much any size and would be fabulous in any garden our outside area! 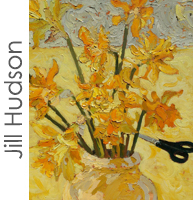 We’ve had an abundance of new work in ready for the season kicking off with the lovely Jill Hudson. She came in with 5 new pieces which is just as well as one whoppa sold days later. The Mason brothers Julian and Robin (although not really brothers!) bought in new work as well. 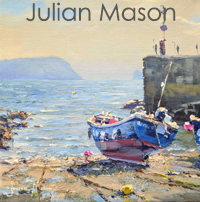 Julian dropped in 10… yes TEN! Incredible newbies and Robin, who will be doing his own Shelter exhibition over the early May bank holiday, drove all the way from Tamworth with an astonishing new collection. 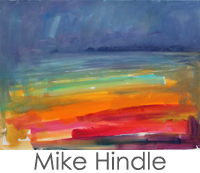 You can’t keep that Mike Hindle down and having sold nearly all of his works from last month, he brought us three new works which I suspect won’t last long, either. 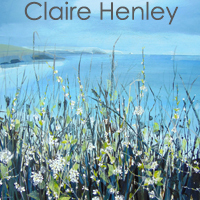 And if that’s not enough beauty for you, the fabulous Claire Henley sent down some more of her fab-u-lous work to replace the ones she’s sold. Blimey, she’s a popular one, I tell ya! 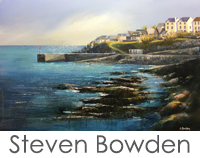 And to finish off the month’s delights, Steven Bowden came down with a brand new collection for this season. And blinders they are too. So make sure you pop over to his page and superzoom those corkers! 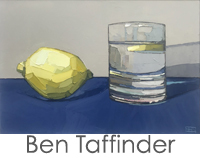 And as I finish putting finer to keyboard, Ben Taffinder dropped in with three sublime works. This huge minimalist is one of my personal favs, so get in their quick! So there it is. I do hope we’ll see you soon and make sure you drop in to our news page to plan your trip in time for your favourite artist’s shelter exhibition. You know it makes sense!